Maisel’s work has always been concerned with processes of memory, excavation, and transformation. These themes are given new form in his latest work, History’s Shadow. In this series, Maisel re-photographs x-rays from museum archives that depict artifacts from antiquity, scanning and digitally manipulating the selected source material. 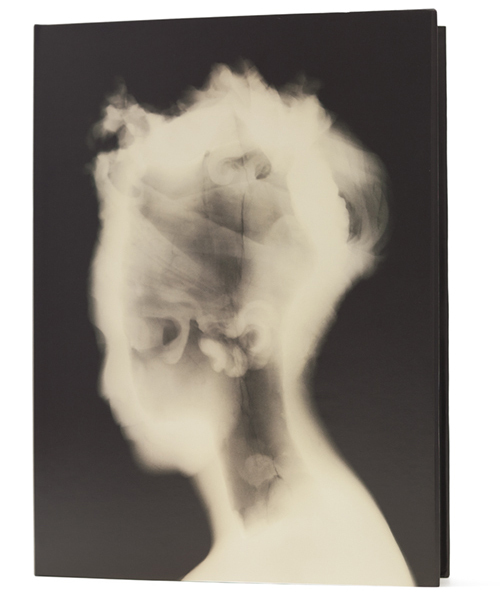 X-rays have historically been used by art conservators for structural examination of art and artifacts much as physicians examine bones and internal organs; they reveal losses, replacements, construction methods, and internal trauma invisible to the naked eye. By transcribing both the inner and outer surfaces of their subjects simultaneously, they form spectral images of indeterminate space, depth, and scale. The resulting photographs seem like transmissions from the distant past, both spanning and collapsing time. They express – through feeling and art, as well as science and reason – the shape-shifting nature of time itself, and the continuous presence of the past contained within us. The book contains an original short story by Jonathan Lethem that was inspired by Maisel’s images.